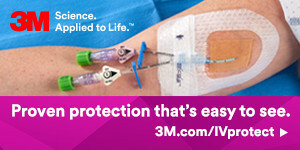 There are studies that show using a securement device such as a StatLock to secure PICCsÂ reduces the risk of infection to the patient and also reduces the risk of needlesticks to the health care provider placing the lines.Â Are there anyÂ PICC teams out there using StatLock devices to secure lines? If so what has been your experience positive or negative? Do they really make a difference? We have used StatLock securement for our PICC since 2003. The learning curve for the nursing staff who change the dressing has been steep and challenging. I will not go back to sutures. We had positive experience with it. We use Statlock for our PICCs in pediatrics (and our PIVs) and yes, they do make a difference. We have never used sutures. We looked at the Bone, and another securement device I don't remember the name of. We went with the Statlock for PIV's, and PICCs and have been very happy with them. Would like to bring the CVC statlocks in. Our learning curve has been with physicians. We've seen some very interesting constellations from IR, for e.g. : of sutures at insertion site in upper arm, with catheter hanging out of dressing down to forearm and statlock on the suture wings on the forearm - insertion site on upper arm. I wished I'd had my camera that day. We have used the StatLock device exclusively on PICC's successfully. A significant challenge was gaining compliance with changing StatLock with every dressing change. Still have minimal accidental dislodgements but if someone is standing on the IV tubing when transferring out of bed I don't think sutures would have helped. Now our team performs the dressing changes on PICC's and CVC's. I have utilized the statlock on CVC's that provide the availablity even if only 1 post, very helpful with stabilization and comfort as reported and observed on IJ sites. Our IR do not place PICC's so compliance is 100%.